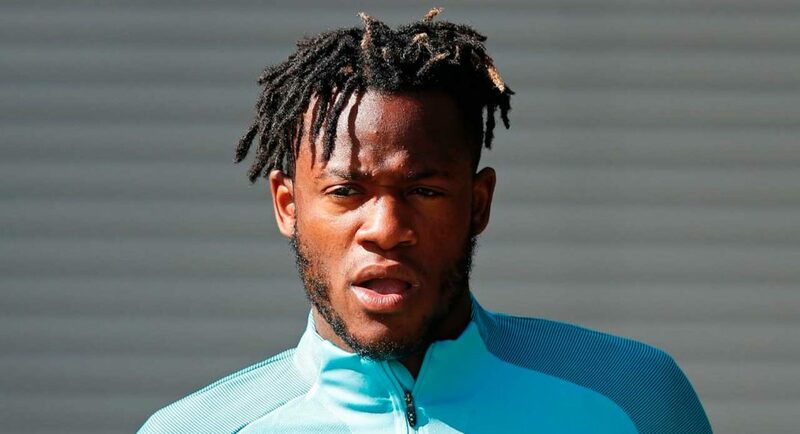 One naive Manchester City fan was left with egg on his face at the weekend after Michy Batshuayi’s brace against Watford. The Premier League champions found themselves 2-1 down and up against it against Marco Silva’s classy Watford side on Saturday afternoon. They desperately needed to find inspiration from somewhere, and did in the shape of Batshuayi. The Belgian is renown for providing ‘clutch’ moments. Think back to his title-winning goal at the Hawthorns, or the late winner at the Wanda Metropolitano. He did it once again at the weekend, this time on his own turf. However, one Man City fan did not see it coming. Twitter user @KingDeBruyne had clearly not done his research, and was unaware of Batshuayi’s track-record. He tweeted out claiming that there was ‘no chance’ that the 24-year-old would prove to be the hero for Antonio Conte’s men – how wrong he was.